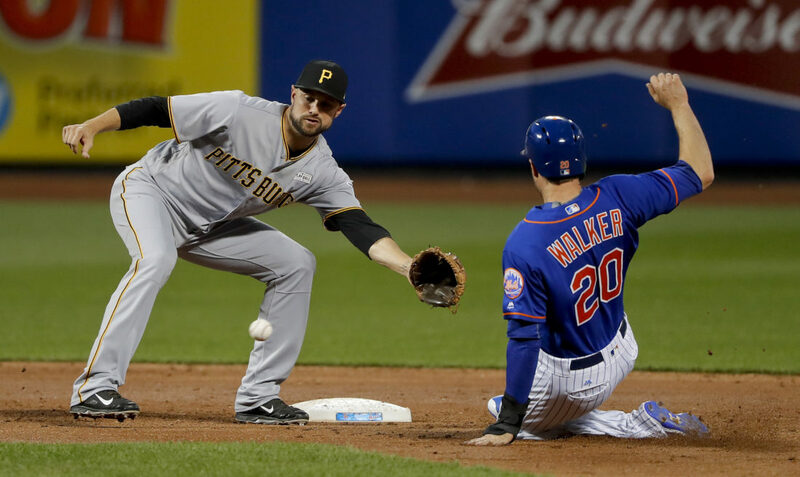 NEW YORK (AP) — Neil Walker hit a two-run homer against his former team and the New York Mets also got long balls from Jay Bruce and Wilmer Flores in beating the Pittsburgh Pirates 4-2 on Saturday night to stop a three-game slide. Robert Gsellman (4-3) won his second consecutive start — likely his last before a move to the bullpen. The rookie right-hander tossed 5 1/3 effective innings before Fernando Salas escaped a first-and-third jam, and New York’s shaky relief corps nailed one down for a change. Jerry Blevins worked around an error in a scoreless seventh, and manager Terry Collins called on Addison Reed to get the final six outs. The substitute closer, filling in for injured Jeurys Familia, pitched out of trouble for his eighth save in 10 chances. First baseman Lucas Duda provided defensive help with a terrific catch in foul territory. The Mets have said Gsellman will probably be bumped to the bullpen when Steven Matz and Seth Lugo come off the disabled list. Each was scheduled for a rehab start Saturday, and both are expected back in a few days. Pittsburgh rookie Josh Bell homered for the second straight game, and streaking Jordy Mercer doubled twice among his three hits. But the Pirates stranded 12 runners, and rookie starter Tyler Glasnow (2-5) lost to the Mets for the second time in seven days. The 6-foot-8 Glasnow walked leadoff batter Michael Conforto in the first. Two outs later, Walker sent a drive into the Pittsburgh bullpen in right-center for his seventh home run. Walker, in his second year with the Mets, was born in Pittsburgh and got drafted 11th overall by his hometown team in 2004. He spent his first seven major league seasons with the Pirates before they traded him to New York for pitcher Jonathon Niese. 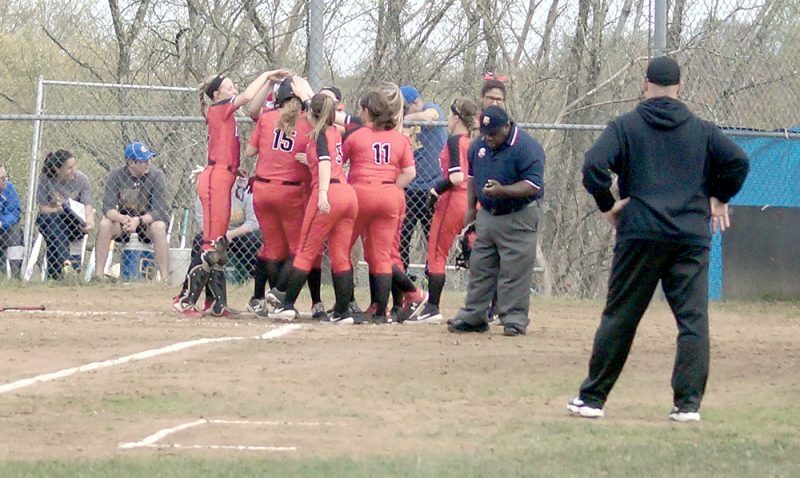 Last weekend, Walker homered twice at Pittsburgh to help the Mets win the first game of a series between the teams. Bruce hit a solo shot in the third just beyond the reach of leaping center fielder Andrew McCutchen. Flores connected leading off the fourth. Glasnow allowed four runs and five hits over five innings. New York (24-30) avoided falling eight games under .500, a mark the Mets haven’t been at since Sept. 6, 2014. Pirates: RHP Jameson Taillon is scheduled to throw 85-90 pitches in his next rehab start Wednesday with Triple-A Indianapolis. Taillon had surgery May 8 to treat testicular cancer. He threw 49 of 68 pitches for strikes over five innings Friday night for Indianapolis, allowing three hits and an unearned run while striking out six without a walk. “It was a very, very good outing,” manager Clint Hurdle said, reading directly from a scouting report. “Two-seamer had late bite. I think they actually said it had teeth.” … Still feeling ill, catcher Francisco Cervelli sat out for the second consecutive night and was replaced by Elias Diaz again. Cervelli caught some warmup pitches in uniform between innings. Mets: Lugo, sidelined all season with a partially torn elbow ligament, tossed a seven-inning complete game for Double-A Binghamton in the opener of a doubleheader against Portland. It is expected to be Lugo’s final rehab outing before joining the big league rotation. He allowed six hits, struck out eight and walked none while throwing 67 of 94 pitches for strikes in a 5-1 victory. … Matz (elbow inflammation), also out since spring training, was set to make his last scheduled rehab start for Triple-A Las Vegas at Reno. As long as they emerge healthy, Collins said Matz and Lugo are likely to start for the Mets next weekend during a four-game series in Atlanta that includes a doubleheader. Pirates: Rookie RHP Trevor Williams (2-3, 5.20 ERA) makes his seventh major league start on Sunday, sixth this season. He hasn’t walked a batter in 11 innings over his past two outings, both no-decisions. He needed only 67 pitches to get through six innings of one-run ball Monday against Arizona. Mets: RHP Tyler Pill (0-1) makes his second career start in the series finale. Pill’s father, Michael, was drafted in the second round by the Pirates and pitched in their farm system from 1977-79. The younger Pill lost in relief during his big league debut last weekend at Pittsburgh but started Tuesday against Milwaukee and tossed 5 1/3 effective innings. With Matz and Lugo expected to come off the disabled list in a few days, the 27-year-old Pill could soon be headed back to the minors. So this might represent his last shot at a major league win — at least for a while.